Once you click on the link below you will be asked to set up an account that will include your email and a password. This account is how you and I will communicate through the design process. All the information you will need to complete your redesign will be provided in easy to follow steps. After your account is set up you will answer a series of questions concerning your project. Your answers will help me understand your design style. We can work on one room or several. Maybe you are just needing help picking out a color scheme to spruce up your wall and trim colors. 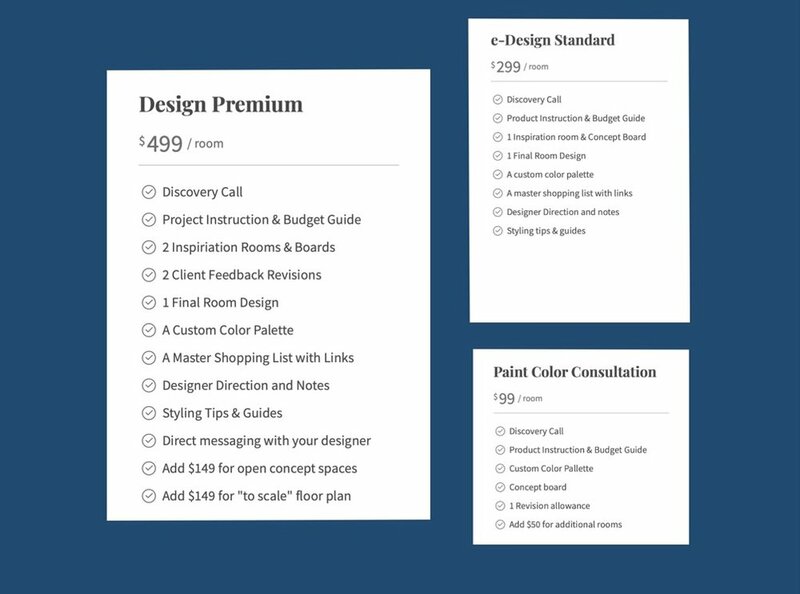 You will be able to set a budget, color scheme and style. There is an option to include a Pinterest board. (Highly recommended). I will also need room dimensions and pictures of the room to be designed. Don’t worry instructions on how to measure and take pictures will be included. I am here to help if you need it. Once I receive the completed questionnaire I will be in contact to set up a discovery call. We will discuss a schedule and what to expect in the coming days. I am excited to work with you!! !